Farm to JUSU is a new blog series that we will be running to showcase our amazing suppliers. We want to introduce more transparency into our business and since we are proud to work with some of the best organic suppliers in the world why not share them. This series should provide you with more clarity on our products and how they got to your table. First up, a local company from Vancouver Island. Jusu Bar has been using Vancouver Island Salt since day one, they supply all of the salt that we use in our products. We chose this local sea salt for the taste, health benefits, and their commitment to sustainability. 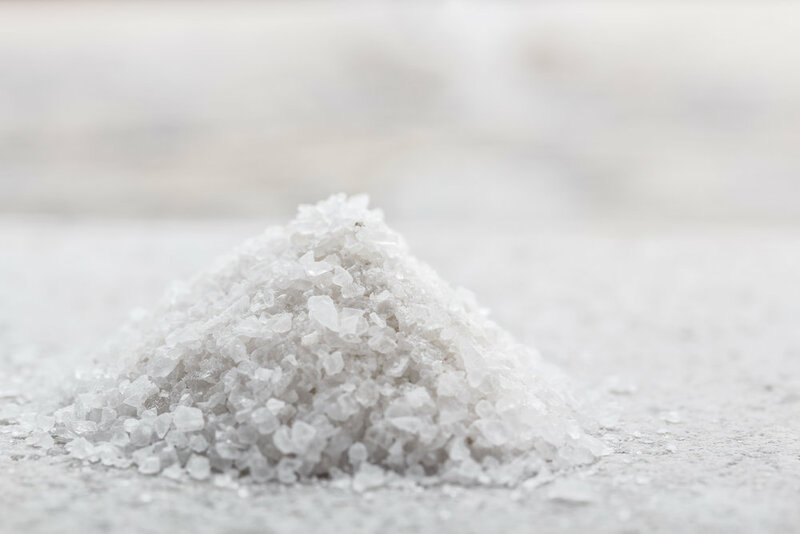 Regular table salt is dried at extremely high temperatures, bleached, has its trace elements removed and contains chemical additives to avoid clumping. Highly processed table salt causes several health problems. Sea salt, on the other hand, is naturally harvested, goes through an evaporation process, contains about 80+ trace minerals and contains easily absorbable electrolytes. Sea salt has many healing properties necessary for optimal health. We sat down with Andrew Shephard, the founder of Vancouver Island Salt Company to ask a few questions about this local success story. KEE: How did you get into the salt business? AS: Lol, it’s become a bit of island foodie folklore, but I was shooting my mouth off about how someone should be producing local sea salt and my friend said, “if it could be done, it would be done”. He then bet me a case of beer that if I stayed up all night boiling water at the beach I wouldn’t have anything worth to show for it in the morning. I won the bet and started the VI Salt Co, which started an industry. I also drank the beers. KEE: What’s your biggest challenge being in the salt business? AS: Until about 6 months ago it was scaling up production, but we are now rolling along super salty in our new Oyster River facility, where we can pump seawater directly into our production facility. Now I suppose the biggest challenge is making Canadian Sea Salt the standard here at home and the “must have” import abroad. KEE: It seems that the public does not fully understand the benefits of sea salt over table salt. Has this been a challenge? Do you educate on this? AS: When we started, lack of education was the biggest challenge, but I feel like the tides (pun intended) are changing and the public is starting to understand that table salt is full of unwanted ingredients (from refined sugar to anti caking agents etc). So less now than before, but yes, we spend a lot of time talking directly to the public about the health benefits of sea salt especially as it compares to table salt.
" The oceans have been punished enough over the course of history so we always harvest with the greatest possible respect and care for our waterways. KEE: Is being sustainable important to you? Why? AS: The oceans have been punished enough over the course of history so we always harvest with the greatest possible respect and care for our waterways. We also source only like-minded partners such as the Canadian Kelp Resources Ltd, who are certified Ocean Wise. We are aware that we are leaders in this new Canadian industry and we’re trying to build a sustainable business model that can be the base for this new industry as it grows. KEE: Thank you so much Andrew, is there anything that you’d like to add?